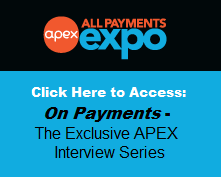 All Payments Expo Blog: The Evolution of the NYC MTA MetroCard? The Evolution of the NYC MTA MetroCard? Living in New York City, one would think that commuting within the metropolis, with one of the largest subway systems in the world, would have some sort of convenient, electronic method of paying for one’s fare. There isn’t. What New York City’s MTA, Metropolitan Transit Authority has is the prepaid functional MetroCard used for subway entry and bus fare. 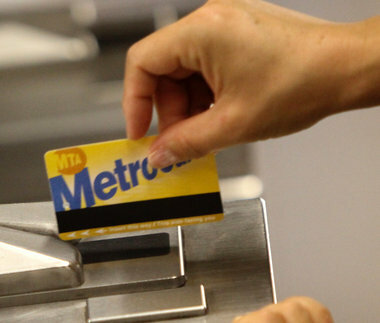 For the general commuter, one can purchase the MetroCard in select locations such as certain local bodegas, MetroCard vending machines, and subway station booth agents. However for refilling options, the MetroCard can only be refilled in the vending machines and with subway booth agents, which are only usually situated in subway stations. This is rather disadvantageous and frustrating for the commuter, especially those who need to take a bus frequently in order to transfer onto a connecting subway, not having much interaction with a booth agent or with a vending machine for MetroCard transactions. agent will assist you with your MetroCard needs. One leading example of a good prepaid system utilized for commuting is the how the Octopus card is applied in the city of Hong Kong. Having frequented Hong Kong over the past few years, I have used this wondrous Octopus card for the Hong Kong MTR, the Mass Transit Railway, and buses. For starters, one first pays upfront $150HKD for the card purchase from any Octopus card retailer, such as a subway station agent booths or local 7-Eleven. The $50HKD is practically a deposit-value computed into the card itself, while the additional $100HKD is valued for metro fare and miscellaneous use. The miscellaneous use is what is so impressively versatile about the Octopus card that needs to be brought up, because it is not just limited to commuting purposes. The Octopus card can be used for normal day-to-day purchases at 7-Elevens, McDonalds, supermarkets, pharmacies, parking meters, vending machines, fast food outlets, and many other various Octopus partners. It is truly the universal prepaid method of purchasing in Hong Kong. The main reason why I am giddy to showcase the Octopus card transaction process is because on almost every Hong Kong block, there are two 7-Eleven stores, as well as one and a half Circle K convenient stores. Of course, the actual amount of 7-Elevens is not to the exaggeration I have just stated, but the amount of 7-Eleven one abstractly notices in Hong Kong is outlandishly staggering that anyone having visited Hong Kong would agree with me of the convenience that 7-Eleven provides is too handy. This convenience extends to the ease of refilling one’s Octopus card, so that is pointless to worry about not having enough funds on one’s card, let alone for traveling purposes. you've just bought your newspaper. Another incredible feature that the Octopus card can offer is that it can be specifically personalized to utilize as an identification card. Just by the simplicity of waving an Octopus card above the card-reading machine, entering an apartment complex or parking a car in a garage complex never got so easy. One does not need to awkwardly greet the doorman anymore, while make chitchat about how great the weather isn’t. Octopus cards have accountable for elevator floors access, for room access, and even been used for students to account for school attendance. 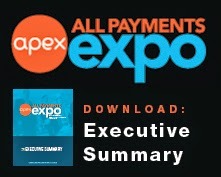 The list of utilization of the Octopus card just goes on and on, furthermore it will keep growing. Right now anyone living in New York City may have noticed that the number of 7-Elevens have been increasing. In fact, 7-Eleven have begun their initiative to ardently persuade local bodegas to convert their establishments into 7-Eleven franchisees in Manhattan, with a target of 134 stores by 2017. Probably not directly correlated to establishing prepaid stations for a medium of monetary transaction, this growing trend of 7-Eleven openings could coincidentally be the first stages of New York City’s answer for the question of what could be better than the MetroCard. After all, the act of waving the card over a card reader is much more efficient than swiping a card that even a seasoned MetroCard user like myself, since my middle school days, may at times mis-swipe. To see "Please swipe again"
or "Swipe card again at this turnstile"
It is now up to a monetary transaction servicer to take that role in which Octopus has, in Hong Kong since 1997, and to establish itself as the sole middleman of it all. The potential retailing partners are there as the 7-Elevens are starting to pop up. In fact with the numerous amounts of Duane Reade pharmacies in Manhattan, there probably could be prepaid stations set up in those establishments as well. Let the battle of prepaid supremacy in New York City begin!